A tasty twist on the classic comfort food, Shepherd’s Pie gets a fall makeover with the addition of pumpkin and the season’s best fresh herbs. If there’s one thing that never fails to get me in the mood for fall and the impending holiday season, it’s our annual #virtualpumpkinparty! This is my third consecutive year participating in the virtual get-together and, let me tell you, it’s something worth getting excited about. 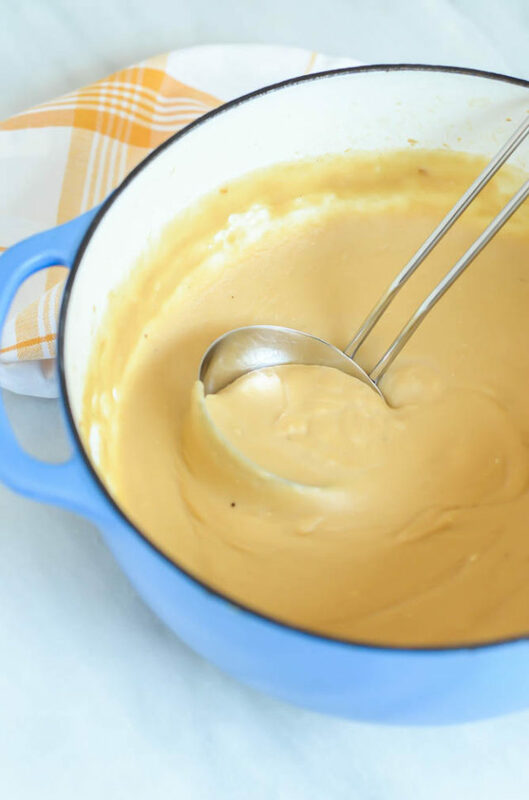 Our count has now grown to over 60 bloggers and each one of us has a tasty pumpkin recipe (both sweet AND savory) that we’re sharing with you today. 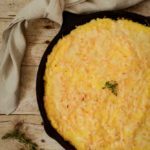 You can find the entire list of pumpkin recipes here, but I’ve got to tell you all about what is probably my newest fall comfort food obsession – Easy Double Pumpkin Shepherd’s Pie with Fresh Herbs! Do you ever have a meal that you just love to eat but have never taken on the task of making yourself? That’s what Shepherd’s Pie was to me – well, up until a couple of weeks ago. For someone who grew up eating a lot of meat and potatoes, I sure don’t make ‘em a lot these days. But whenever someone would make me this one dish creation that happens to have meat, potatoes and veggies in one, I would be surprised at how much I enjoyed it. It was about time I tried making it myself, but of course not without my own little twist! 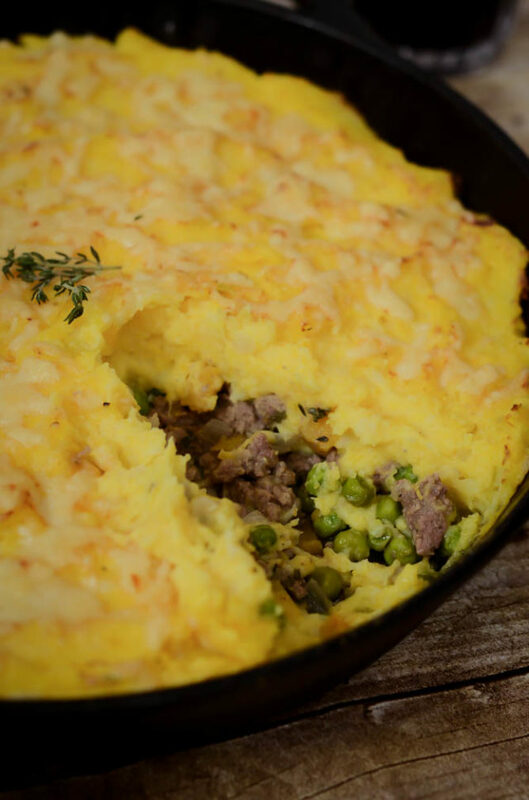 And let me tell you, this twist just makes my version of Shepherd’s Pie over-the-top delicious. Not only did I add mashed fresh pumpkin to the potato topping, but I also cubed up some of that same fresh pumpkin and added it to the ground beef and pea filling. Oh, and we can’t forget the fresh herbs – there’s nothing like some fresh sage and thyme to make a dish REALLY feel like fall! 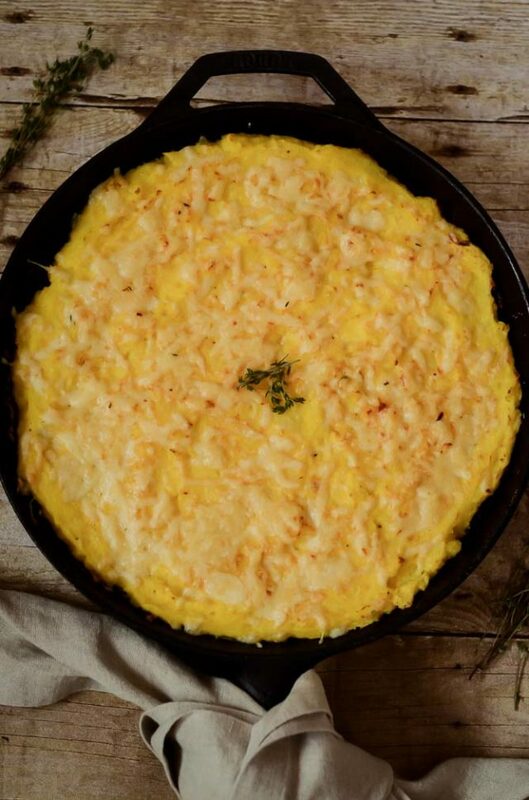 Now I know you’re already dying to whip up this Pumpkin Shepherd’s Pie for dinner, but let me make the decision even easier for you. This is a TWO-pot meal, folks. 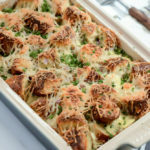 You’ll use one large pot to boil the potatoes and pumpkin for your topping, and a cast iron skillet to assemble all the pieces together and broil under the oven for a few minutes. So easy! Okay friends, I’m going to keep this short and sweet today because, I mean, I have about 60 other pumpkin recipes to try my hand at, but I’ll tell ya – you’ll be doing yourself a huge disservice if you don’t give this Pumpkin Shepherd’s Pie a shot. 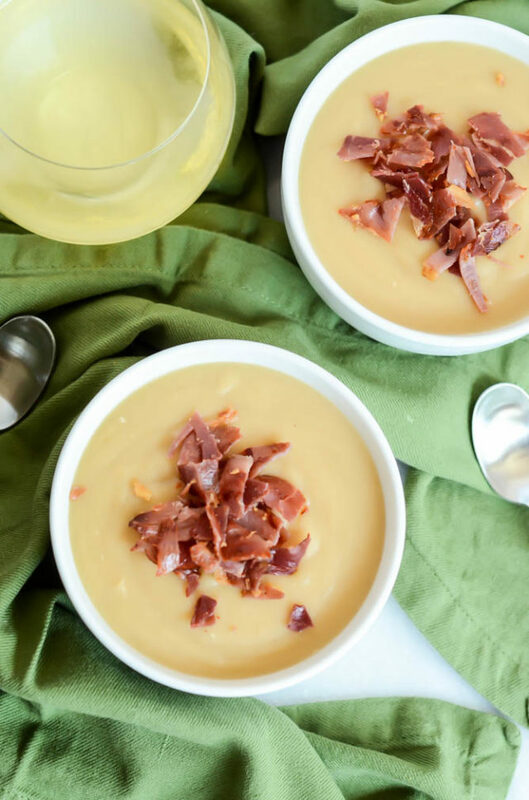 And be sure YOU also check out all of the other fun recipes for our 2018 #virtualpumpkinparty! Bring a large pot of water to a boil. Once water is boiling, add large pumpkin chunks and potatoes. Boil for 10-15 minutes or until pieces can be pierced easily with a fork. Strain out water and let cool slightly while you prepare the filling. Melt 2 tablespoons of butter in a large cast iron skillet over medium heat. Add onions, garlic and small cubed pumpkin and saute until onions are translucent and fragrant, 5-10 minutes. Add beef, brown slightly, and then toss in fresh herbs. Add flour, beef stock and frozen peas and stir to combine. Let cook over medium heat, stirring occasionally, until beef is no longer bright pink. While beef mixture is cooking, mash your pumpkin and potatoes. Add 4 tablespoons of butter and heavy cream to the pot where the pumpkin and potatoes have been cooling. Using a hand mixer or immersion blender, cream everything together until smooth. Season with salt and pepper to taste. 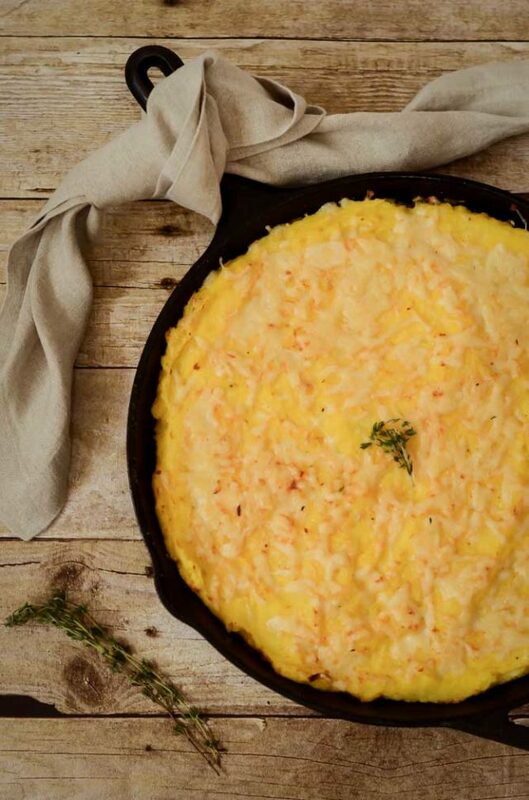 Spread the mashed pumpkin and potato mixture evenly over the beef in the cast iron skillet. 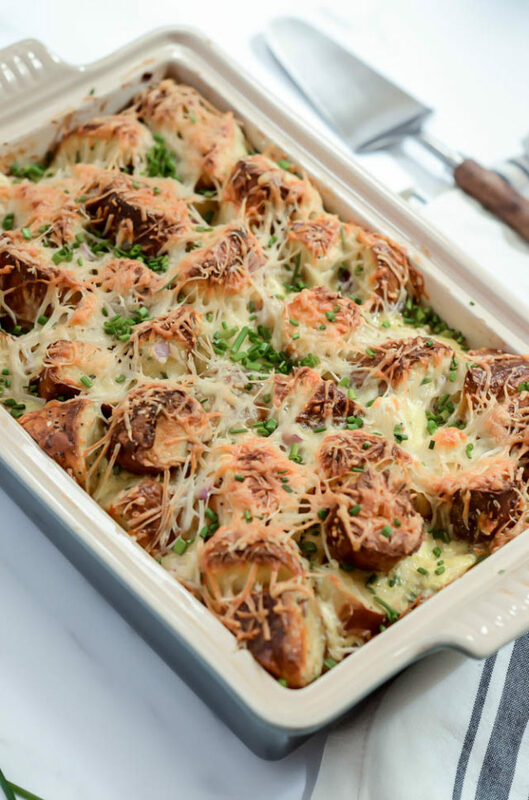 Top with grated Parmesan and place under the broiler until the top has a lovely golden hue, which can take anywhere from 5-15 minutes. Just keep a close eye on it as it is under the broiler as things can take a turn towards burnt very easily! Serve pie by scooping the mixture out into bowls while it’s still warm. I know, I know, this photo doesn’t necessarily jump out at you as the PRETTIEST dish around, but boy oh boy does it make up for its looks in flavor. 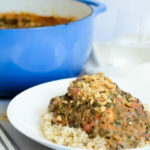 There’s a reason Mom’s Peanut Butter Chicken has been a favorite family recipe of ours for longer than I can remember! Let me just paint a little picture of the cooking situation in my family for you: My dad is the one who never relies on a recipe, simply using them for “inspiration” and successfully pulling dishes together relying on his taste memory and previous cooking knowledge. 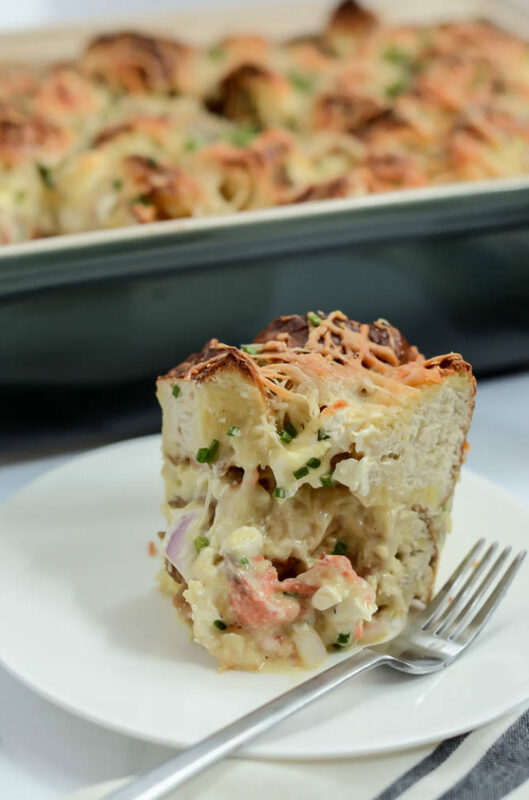 When I was younger, whenever there was a dish at a restaurant that we absolutely loved, my dad would be able to taste it and recreate it back at home without even asking the waiter or chef what all was in the recipe. My mom, on the other hand, is more of a by-the-book gal. This may be partly due to the fact that she’s the primary baker in the family, and we all know that bakers must adhere to much stricter measurements and instructions to come out with the perfect treat. Mom’s always skimming magazines and cookbooks and dog-earing different recipes she wants to try. Some of these recipes end up being massive fails, but others take us by surprise and end up appearing in regular rotation on the dinner table. I can’t remember exactly where my mom found this recipe, but it’s since become her own, hence why I’m dubbing it Mom’s Peanut Butter Chicken. 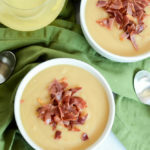 It’s an incredibly homey meal, the ultimate comfort food, which is why I feel the need to share it now before our weather gets too warm for us to want to make anything that requires time both on the stove AND in the oven! I’m sure I’ve mentioned it before, but I am a HUGE peanut butta lova. Yep yep! 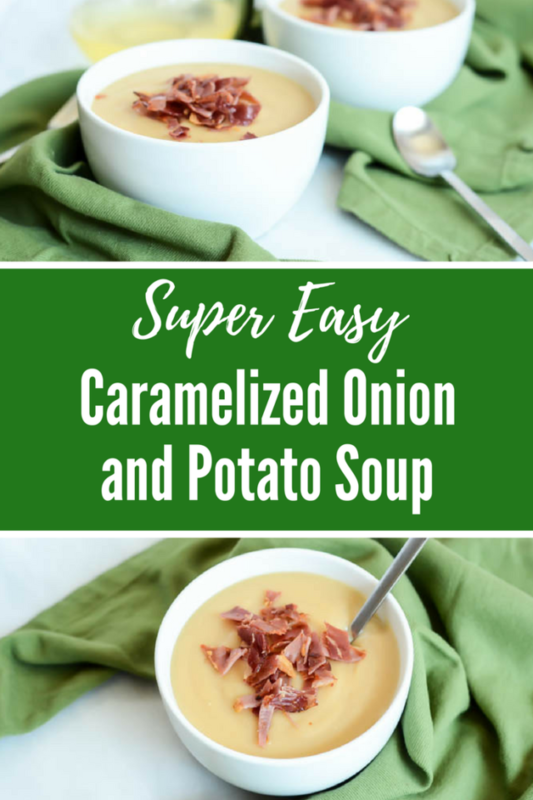 I’m pretty much addicted to it it and have been for as long as I can remember, which is why there should be no question as to why I love this hearty, tummy-warming dinner so much. Seriously, take any dish and add peanut butter to it and you’ve pretty much sold me. 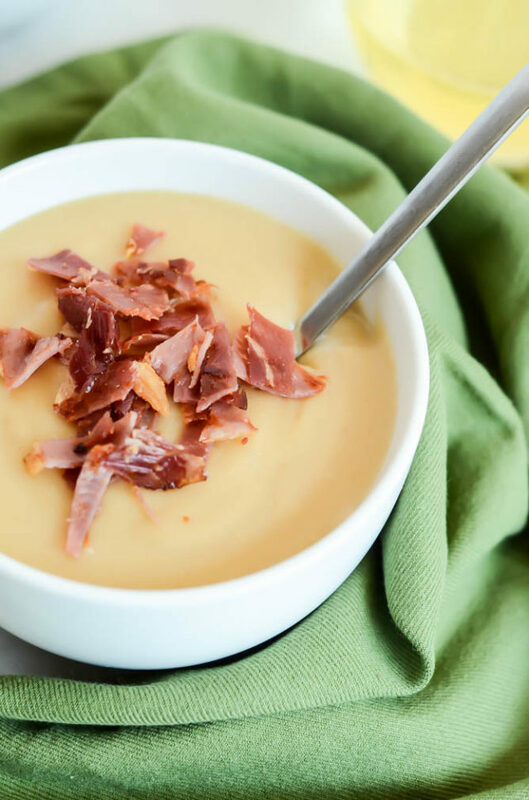 This dish is also incredibly easy to make, and even the most novice of chefs will have no problem whipping it up on any night of the week. The key to bringing it all together is a trusty Dutch oven, and if you’re looking for an affordable option, I highly recommend my go-to Lodge 6-quart cast-iron one, which you can grab on Amazon for less than $60. Seriously, you’ll never regret this purchase. 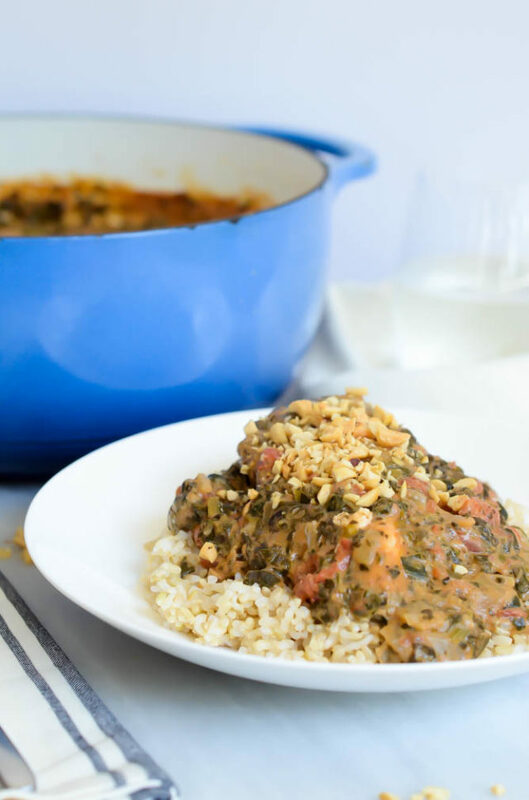 The Dutch oven and your stove/oven are ALL you’ll need to bring Mom’s Peanut Butter Chicken recipe together in just about an hour and a half. 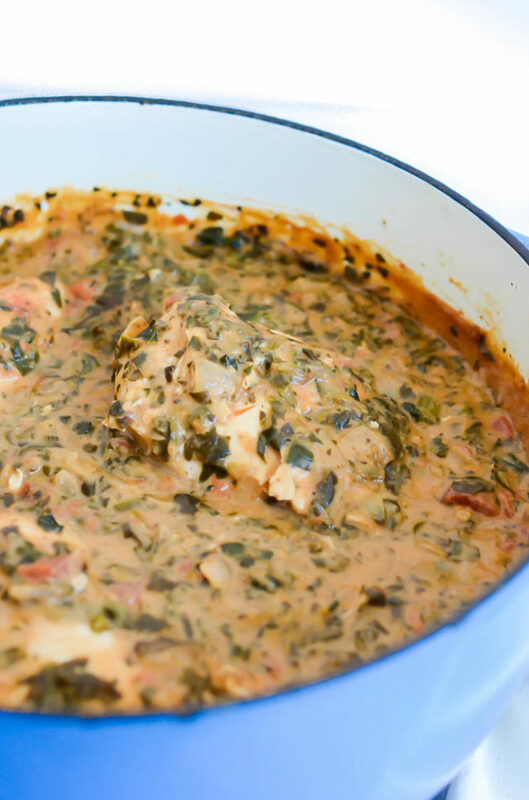 We start with a quick sear of the chicken, and then throw all of the veggies and sauce ingredients into the same Dutch oven before literally setting it and forgetting it. That’s right, after you get all of the ingredients combined, you just pop this big pot of deliciousness in the oven and let it cook away for about an hour. 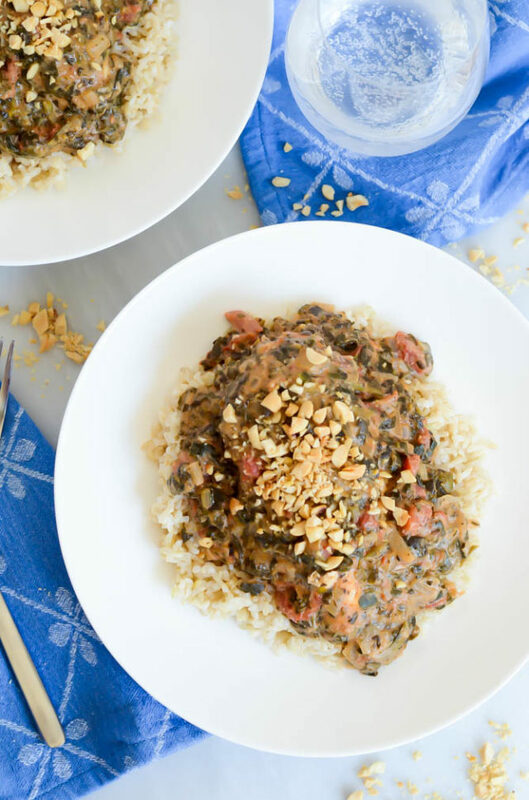 While Mom’s Peanut Butter Chicken is cooking, steam up some brown rice because you’re definitely want some extra carbs to soak up all of that delicious peanut butter-y sauce. Now how’s that for a complete meal? 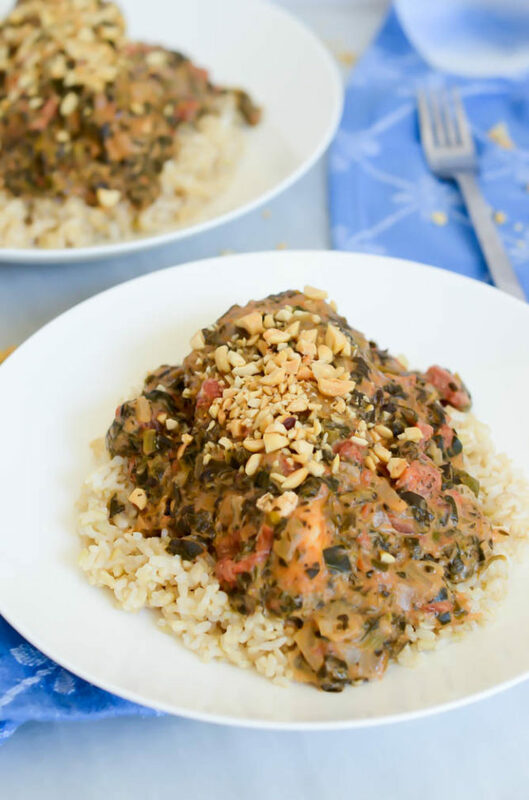 Chicken is topped with a creamy, vegetable-filled peanut sauce to make a healthy, protein-packed comfort food meal for any night of the week. Heat butter and olive oil in Dutch oven over medium-high heat. Season chicken breasts with salt and pepper and add them, in batches, to the pan, browning on both sides. Remove from pan and set aside to add back in later. Add the onion to the warm pan and cook until translucent. Add tomatoes and spinach, stirring to combine. Add the chicken back to the pan. Place reserved tomato liquid in a measuring cup and add chicken broth or tomato juice until combination measures 1 ½ cups. Add liquids to a medium mixing bowl with peanut butter and whisk until mixture is smooth. Add ½ teaspoon salt, ¼ teaspoon pepper, and cumin (if using) and whisk to combine. Pour sauce over chicken mixture in Dutch oven. Place Dutch oven in 350 degree oven and cook for one hour, or until chicken is tender. When serving, garnish with ground peanuts. 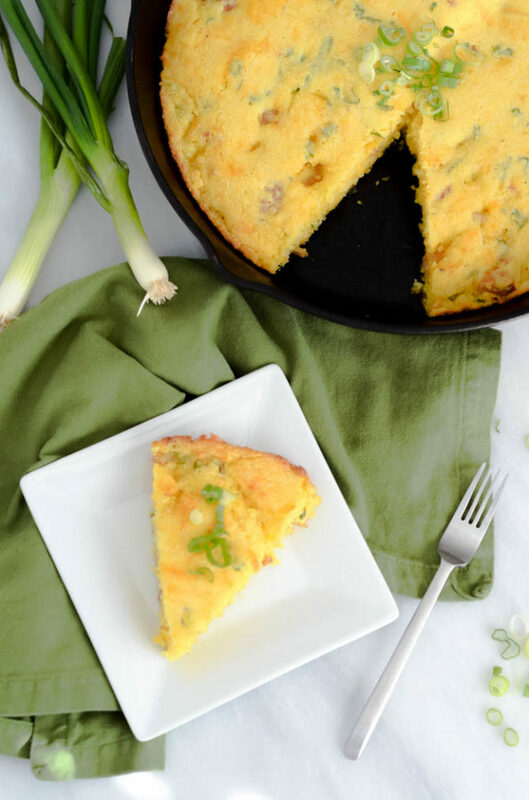 Cornbread gets a delicious makeover when it’s loaded with sausage, green onions and shredded cheddar cheese and cooked in a seasoned cast iron skillet. I promised to balance out all that healthy stuff I brought you on Monday, didn’t I? Well, let me tell you, this Loaded Skillet Cornbread with Sausage and Cheddar Cheese truly delivers. We are, after all, in the season of comfort food (and Super Bowl Sunday!) so there’s no time like the present to indulge just a little bit. Plus, we’ve got to bake allllll of the things before the weather once again gets too warm for us to even think about turning on the oven. 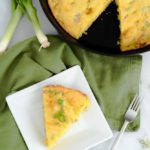 As I was dreaming up this recipe, I originally thought I’d just make my loaded cornbread in a classic glass baking dish and serve it up in thick, hearty squares. But then, as I was putting away dishes and reorganizing all of my pots and pans, my eyes fell upon my extremely neglected cast iron skillet and I knew this would be the perfect opportunity to give it some lovin’. 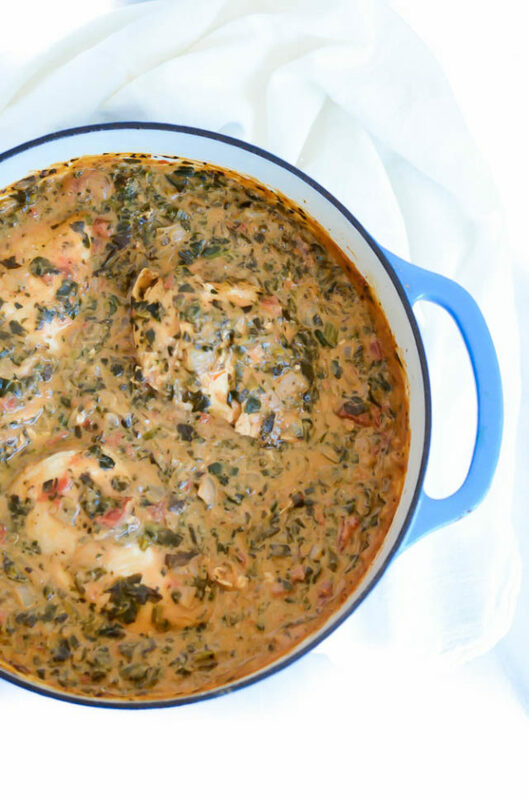 The last time I used my trusty Lodge cast iron skillet for a recipe on this site was way back in April of last year, when I brought you this incredibly delicious (and still a reader favorite) Greek Skillet. It turned out so well, and has continued to serve me well in times of easy, healthy dinner needs, that I’m not sure what has taken me so long to break the skillet out again and put it to good use. Now that I’ve done it, I’m eager to start trying even more cast iron skillet recipes in the very near future…Do you have any suggestions of recipes I should try?? 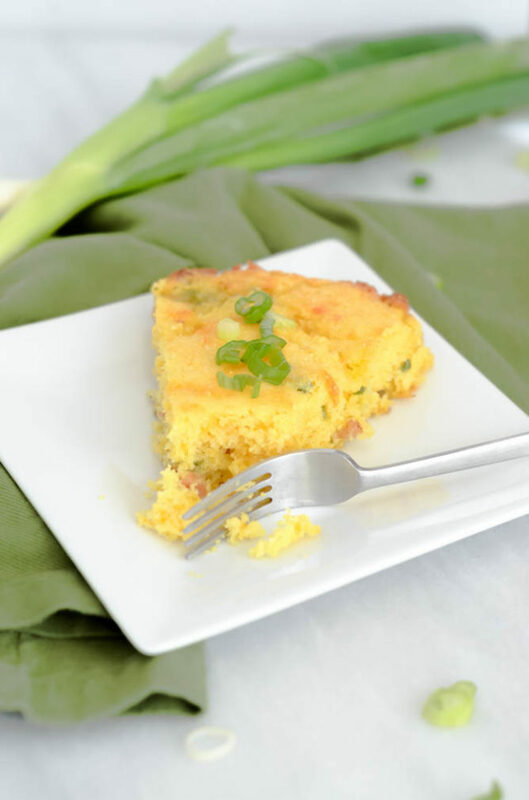 Not only is this Loaded Skillet Cornbread with Sausage and Cheddar Cheese incredibly decadent and drool-worthy, it’s also soooo easy to make. Yes, the batter is made from scratch, but I kid you not when I say it comes together in less than 15 minutes flat. 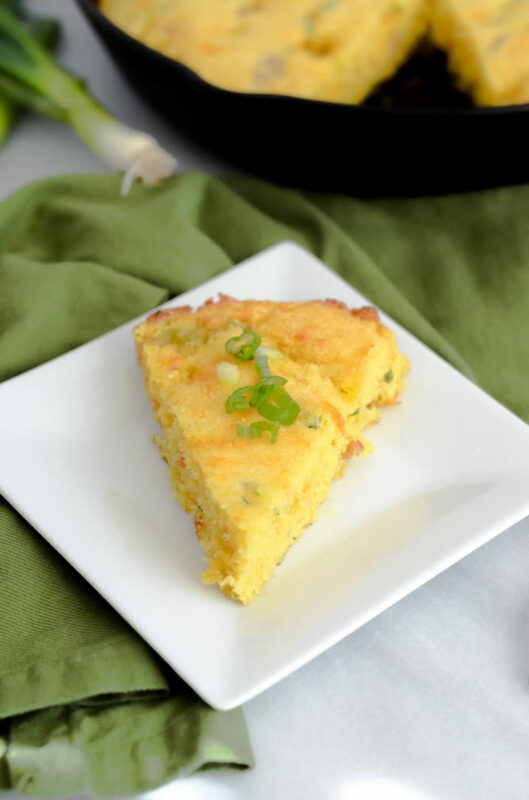 With only 20 minutes of baking time, the cornbread would be a welcome addition to an easy weeknight dinner. 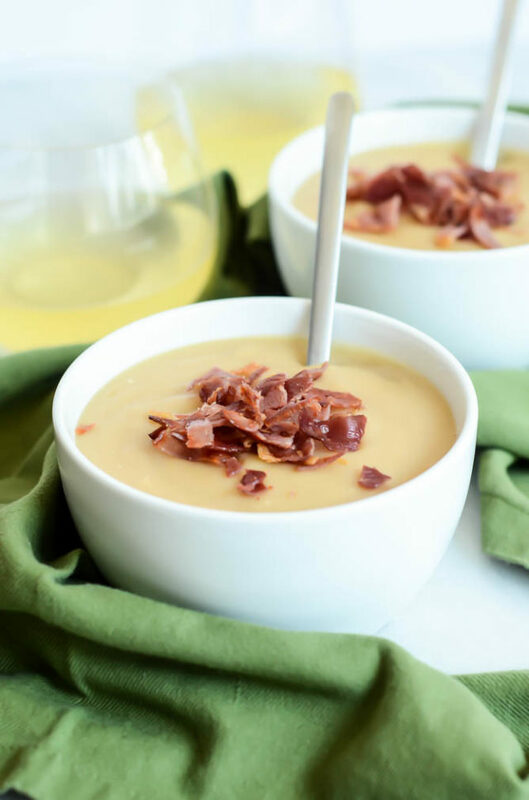 I’m thinking it would be the perfect accompaniment to a bowl of Warming Minestrone Soup or a big Winter Kale Salad. 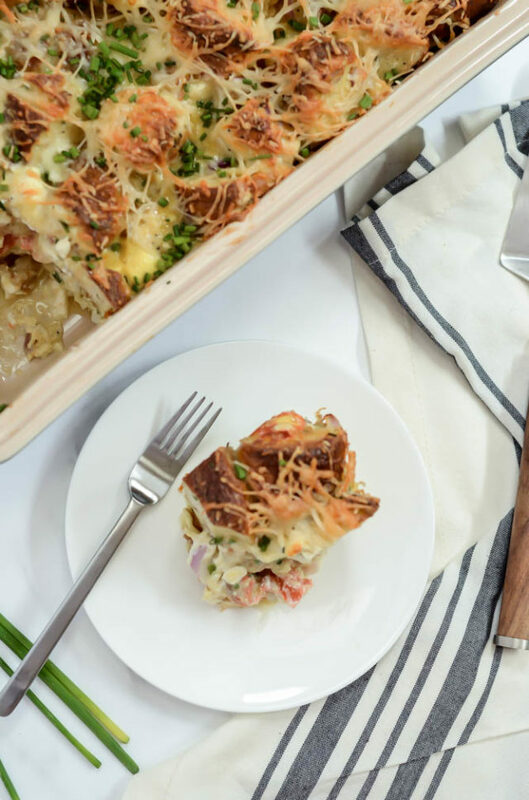 The only prep that you’ll need to do in preparation for this deliciousness is to cook up some Italian sausage, grate some cheddar cheese and slice some green onions. Once that’s all done, the batter will come together in no time flat, while your cast iron skillet is busy warming up (and getting seasoned with bacon grease) in the preheating oven. 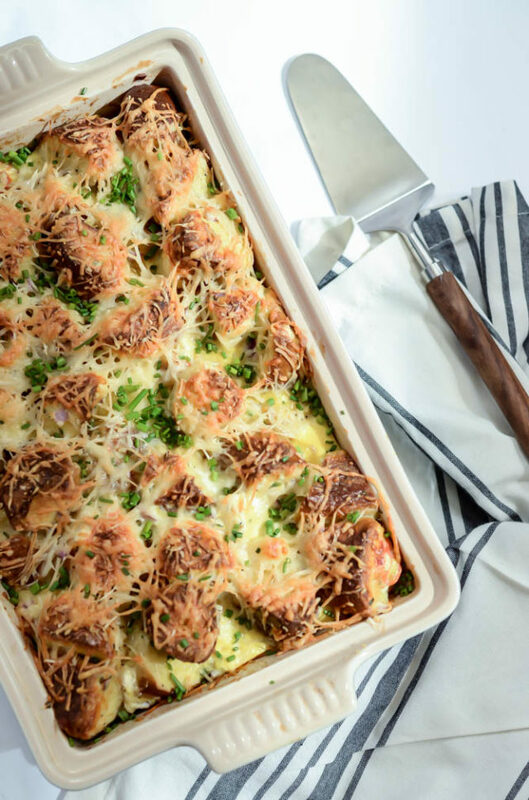 If you’re looking for an easy dish that will “wow” your guests for Super Bowl Sunday, this Loaded Skillet Cornbread with Sausage and Cheddar Cheese is your answer. It might as well be deemed a “meal” with all of that protein from the sausage and cheese, and there’s even some “green stuff” hanging out in there. I might also add that it’s incredibly tasty with a little drizzle of honey over top, or if you REALLY want to be indulgent, slather on some creamy, high-quality butter. So now you have a healthy dish and this indulgent dish for your football-noshing pleasure this weekend. How about on Friday I bring you a cocktail?? 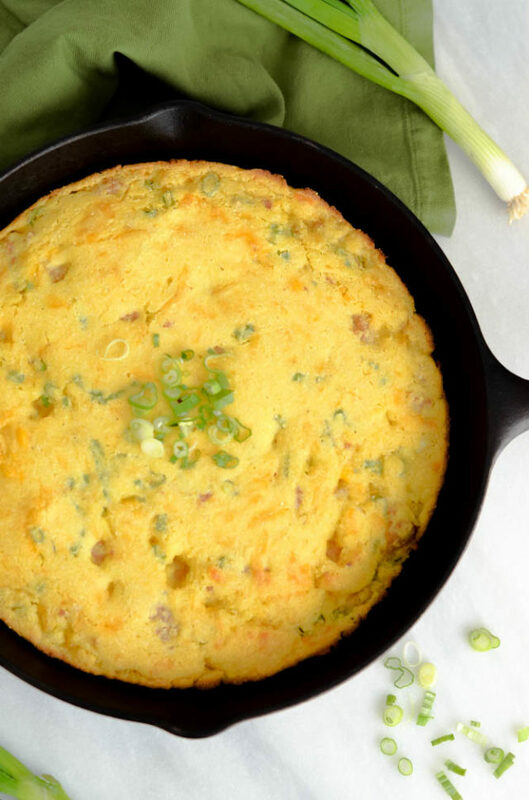 Cornbread gets a delicious makeover when it's loaded with sausage, green onions and shredded cheddar cheese and cooked in a seasoned cast iron skillet. Preheat oven to 425 degrees Fahrenheit. Place bacon grease in a 12-inch cast iron skillet and place in oven as it is preheating. In a small nonstick skillet, brown the sausage, then set aside. In a large mixing bowl, whisk together the cornmeal, flour, sugar, salt and baking soda. Add the buttermilk, eggs and butter to the same mixing bowl and whisk until combined. Stir in the cooked sausage, green onions and cheddar cheese. Using potholder, remove the cast iron skillet from the oven. Pour in the batter and then return to the oven for 20 minutes. Remove when a cake tester inserted into the center comes out clean. Let cool slightly before serving. 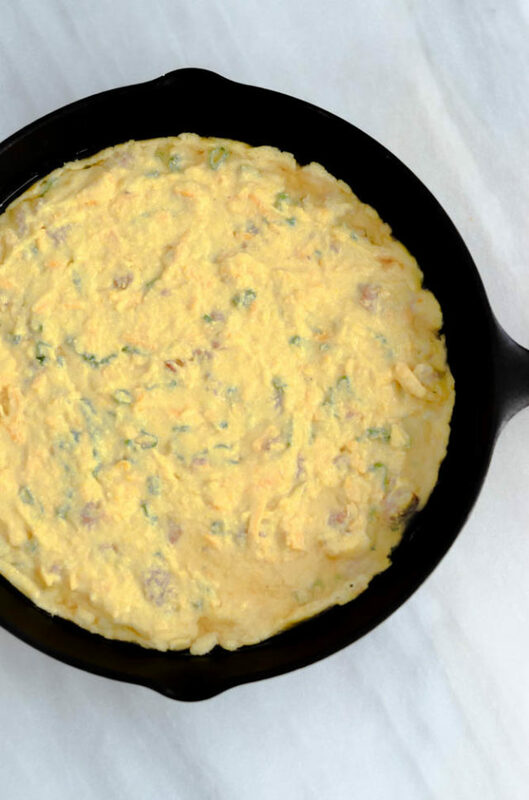 This recipe should also work fine if you only have a 9-inch cast iron skillet. 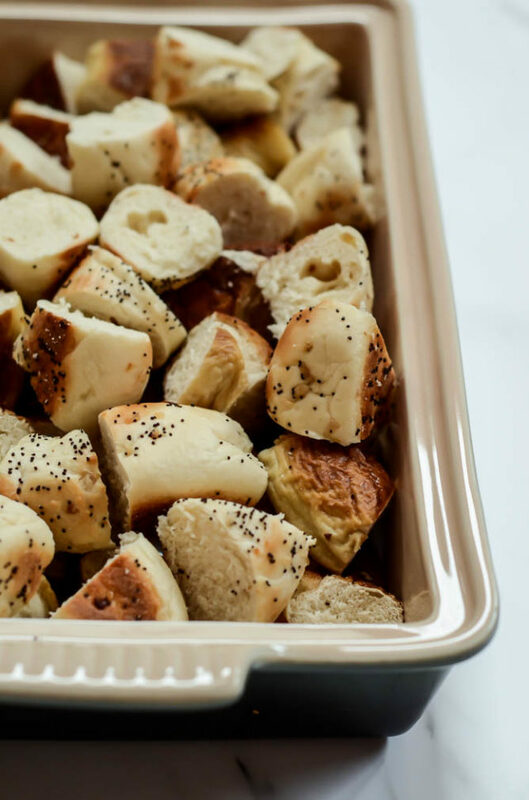 The bread will turn out a little thicker, so you will probably need to increase the baking time 5-10 minutes.